The Industry 4.0 Italian Ministerial Plan is a great opportunity for all companies that want to seize the opportunities associated with the fourth industrial revolution: the Plan provides a set of organic and complementary measures that can foster investment for innovation and competitiveness . Through our consultants and specialists, we are able to partner with any company, industry or istitution in this path by providing a full service to access these funds and facilities. Lyrica, SPX LAB Business Unit, is born as a project of internationalization as a response of the growing need of the company to attend foreing markets. 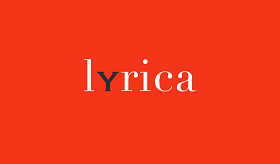 Lyrica collaborates with export experts and skillful sales people as well as international law experts with deep knowledge of both local and international business dynamics. We are currently operating in Dubai, Hong Kong and Moscow, Macau and Vietnam. In the magnificent Piazza San Carlo in Turin, we have participated to a spinning marathon lasting more than 7 hours. Hundreds of participants from all over Italy have cycled to the music on 150 bikes placed in the historic centre of the town. Great enthusiasm and a prestigious stage were the ingredients of this big success. Dozens of selfies of participants were taken every hour, embracing friends, instructors or other guests. Everyone used his email adress to get this unique souvenir of the day. Last Tuesday it was a busy day at the Smart Retail Now 2017. Main sponsor of the event, we have impressed our guess with ME The Selfie Machine in two versions, single-screen and dual-screen. Our CEO, Massimiliano Margarone, gave a speech about how we have tranformed this apparently playfull product, in a direct marketing tool. Having fun is the best way to keep user's attention up untill the availability of the data and to collect as more information as possible. ME, the winning solution that we propose for retail chians, is scalable and can be placed in different places: all analytics wil be aggregated in a single control pannel. 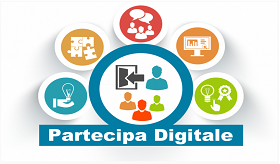 Open Genova, an association that promotes culture and education in Liguria, launches today Partecipa Digitale, a contest of ideas aimed at associates and sympathizers. Anyone is invited to present digital projects that will be discussed in a platform online. The Observatory, which also includes SPX LAB, will monitor the projects and choose the winner. The award is an economic prize and great visibility for the future. 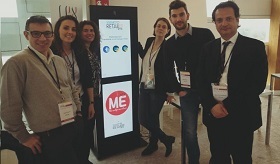 The 21th of March, SPX LAB takes part of SMART RETAIL NOW in Arese. 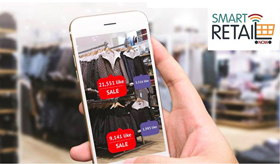 We participate as creators of innovative technologies for the retail, supermarket chains and for those who sell products and services to final costumers. Massimiliano Margarone - CEO of SPX Lab - will be one of the speakers of the day, talking about the future of shopping through the model of a truly participative costumer experience . We will introduce ME, The Selfie Machine to our guests: a funny and effective tool of engagment and sharing that redifines the rules of the purchase and the relationship between costumers and the product itself. Massimiliano Margarone and Ta.Bi are protagonists of a long interview, edited by David castro, director of Man&Manager. 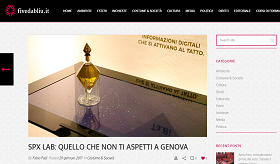 Ta.Bi, our interactive surface that recognize object by its mere touch, has been globally appreciated and great demanded by the world of luxury. 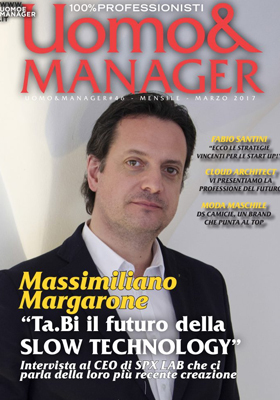 Our CEO Massimiliano tells us about the effort of establish itself in Italy with this creative and original product, where the highest technology is also slow. Once more this year we sponsor the Riviera Engineering Days, a series of events dedicated to engineering. Leading companies and key figures will give interesting speach about the opportunities that can be exploited in the area thanks to technology. 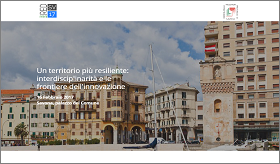 The focus for the second edition is "A more resilient territories: interdisciplinarity and innovation borders"
"SPX LAB: something you don't expect in Genoa"
Thanks to Fabio Palli of fivedabliu.it for this article in wich he describes us as main palyers in the Creative Industry in Genoa. Welcome to our new laboratory, where we experiment and create valuable technologies. 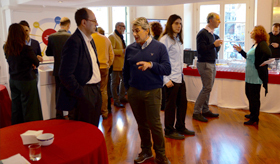 Last friday this message welcomed more than 50 guests, including customers and partners, who came to visit our new office in Genoa, Piazzetta Andorlini. 6 years after the creation of Smartland Project, the founders Massimiliano and Alessandra realized that the name of their company had to change. SPX LAB finally reflects the originality of their work and the personal and creative approach with which technologies, products and services are made. Friday a new phase began with the birth of SPX LAB, a laboratory where we demonstrate every day how to react to changes. We absorbe innovation and realize, through technology, unique and unusual personal experiences. An example? Ta.Bi. Tangible bits, the surface that allows a dialogue between objects and virtual reality, to increase the chances of promotion of a product. ME, The Selfies Machine that achieve new marketing strategies based on user profiling. EXPO that goes beyond the idea of a simple exhibitor and offers the opportunity to deeply understand a product.